Recorded for broadcast at Sydney's ABC in 2008, following a concert at the Independent Theatre in North Sydney, this new CD is now available on Mara Music Records. 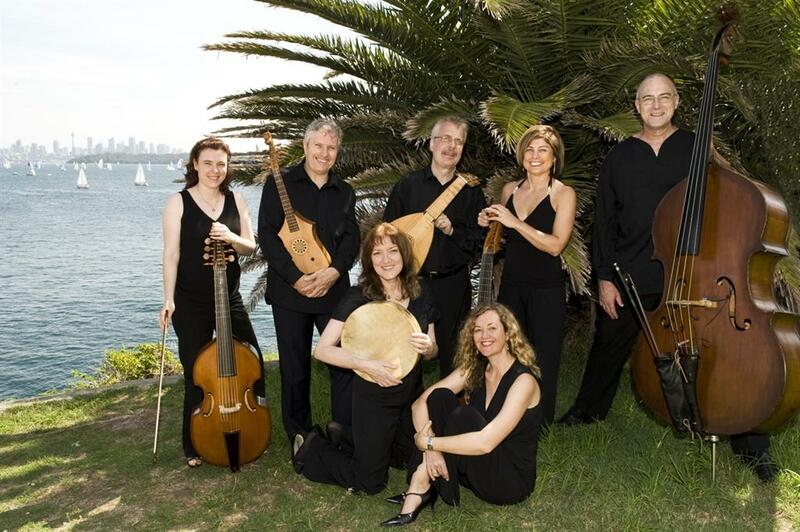 It features Steve Elphick on bass, Mara Kiek and Belinda Montgomery on vocals and percussion, Llew Kiek on gittern and bozouki, Jenny Eriksson and Cathy Tabrett on viol da gambas and Tommie Andersson on renaissance lute and theorbo. The album features music from Dowland, Marais, Bouteiller and a new evocative recording of the Martin Codax medieval Galician-Portuguese song cycle "Cantigas d'Amigo". Mara Kiek recorded the Codax in the mid '80s on Hyperion records with the group Sinfonye. This new version juxtaposes the ecclectic instrumentation of Mara meets Marais with Mara and Lindy's unique vocal interpretation. The aim of the collaboration was to push beyond the boundaries rather than be circumscribed by them. It was not envisaged at the time of the broadcast that the recording would be released commercially, but as the years passed we became convinced that the feel of the performances was so strong we wanted to share the outcomes more widely.